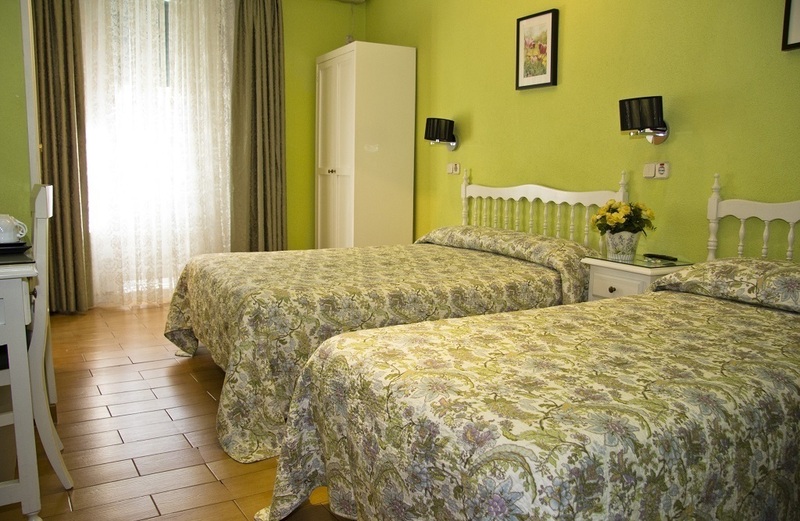 From 28€ per night - 22 rooms of 6 types. Single with shower and sink (shared toilet). 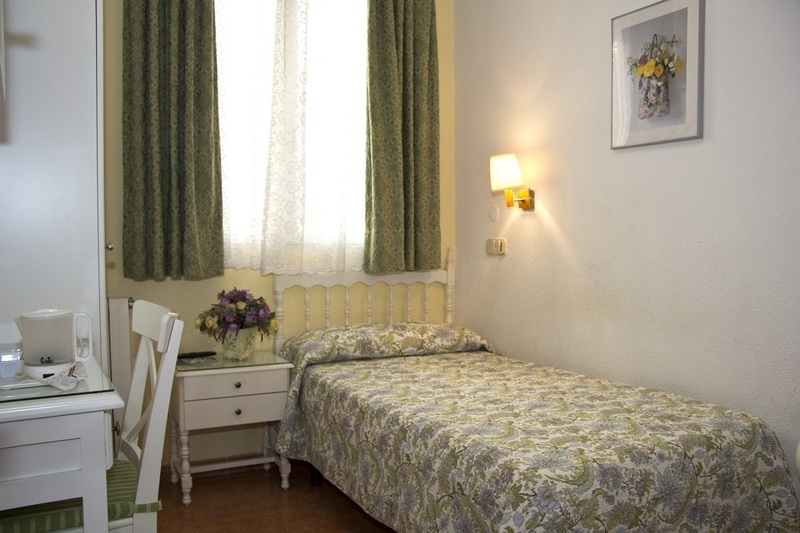 Room with 1 single bed, air conditioning, free Wi-Fi and satellite TV. 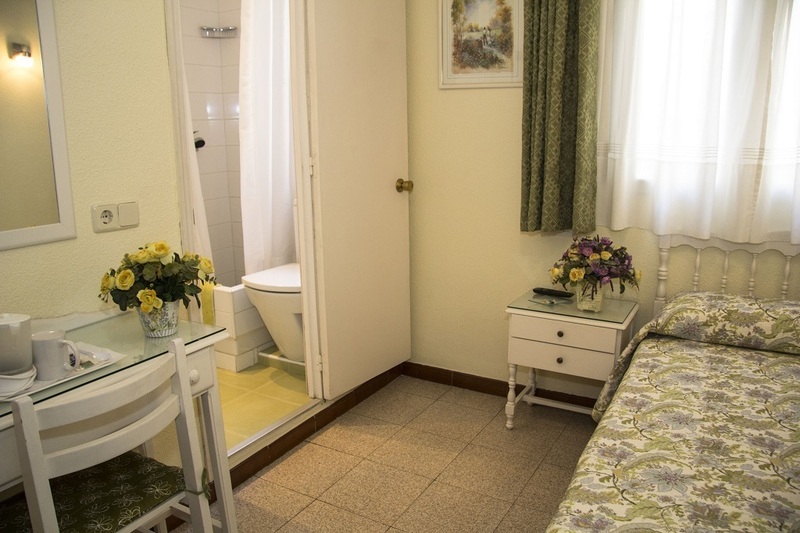 Has private shower and sink and has access to a shared toilet. Room facilities: Hairdryer, Desk, Free toiletries, ceiling fan, heating and kettle. Room with 1 double bed. Air conditioning, free Wi-Fi and satellite TV, hairdryer. Private bathroom, hairdryer. free toiletries. Room features: desktop. ceiling fan, heating and kettle. Room with 2 single beds. Air conditioning, free Wi-Fi and satellite TV, hairdryer. Private bathroom. Hair dryer. Free toiletries. Room features: desktop. ceiling fan, heating and kettle. Room with 3 single beds. Air conditioning, free Wi-Fi and satellite TV, hairdryer. Private bathroom. Hair dryer. Free toiletries. Room features: desktop. ceiling fan, heating and kettle. Room with 1 double bed and 1 single bed. Air conditioning, free Wi-Fi and satellite TV. Private bathroom. Hair dryer. Free toiletries. Room features: desktop. ceiling fan, heating and kettle.